Nissan’s introduction of the totally redesigned Altima for 2013 has raised a lot of eyebrows. The vehicle features a wide range of driver assisted technology that use a variety of sensors. There are front facing cameras to watch the painted lines on the road to warn drivers of an unintended lane departure. 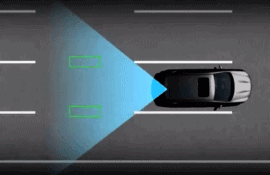 The rear camera monitors blind spots using sonar arrays to check the area around the vehicle for obstructions. This same camera will also warn the driver of objects behind them when the vehicle is in reverse. Nissan’s tech package uses the rear facing camera to constantly watch the area behind and to the sides of the car. By detecting the position of the car between the painted lane markers on the pavement, it is able to serve as a lane departure warning system. A notification beep will be audible when the vehicle drifts out of the lane without the turn signal being activated. The camera is also able to see cars at the rear quarters, virtually eliminating blind spots and warning the driver to their presence. How does the camera stay clean in the grimiest of winters? 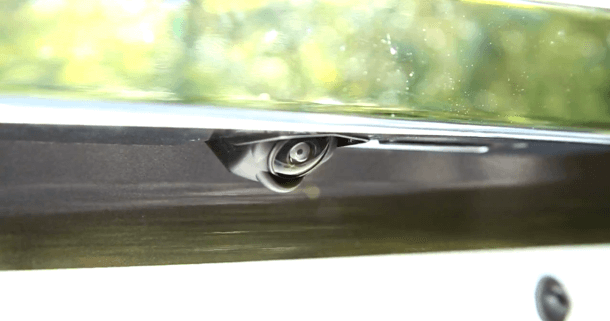 It has a cleaning system that puts a drop of windshield cleaning fluid onto the lens and blows it off with a burst of air. How cool is that?